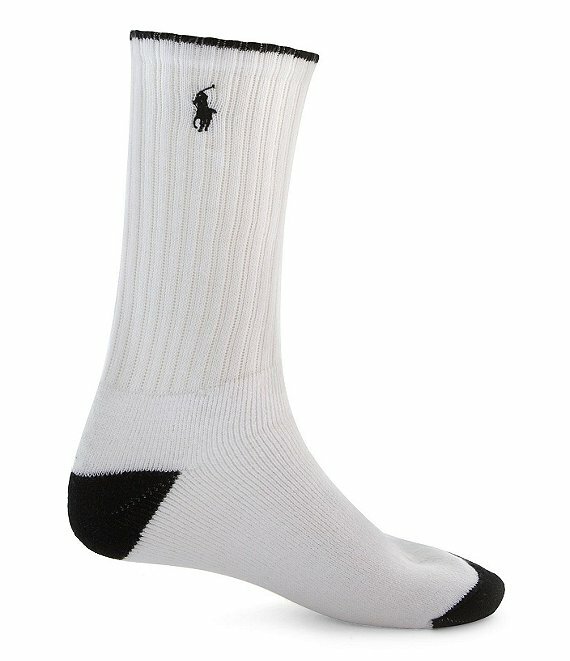 These cushioned crew socks feature a contrast heel and toe and embroidered polo player detailing on the ribbed cuff. The white assorted 3-pack includes one white/grey pair, one white/navy pair and one white/black pair. Of cotton/nylon/spandex. Imported.